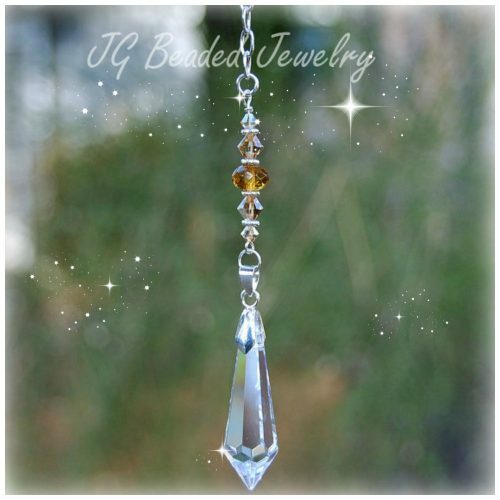 This iridescent crystal angel ornament can be hung from the rearview mirror, in a window, as an ornament (year round) or anywhere you choose! 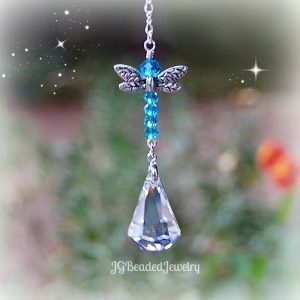 She is carefully handcrafted with love and uniquely designed using iridescent faceted crystal beads, lead-free pewter angel wings, a silver crystal rhinestone halo, and fancy silver metal beads. 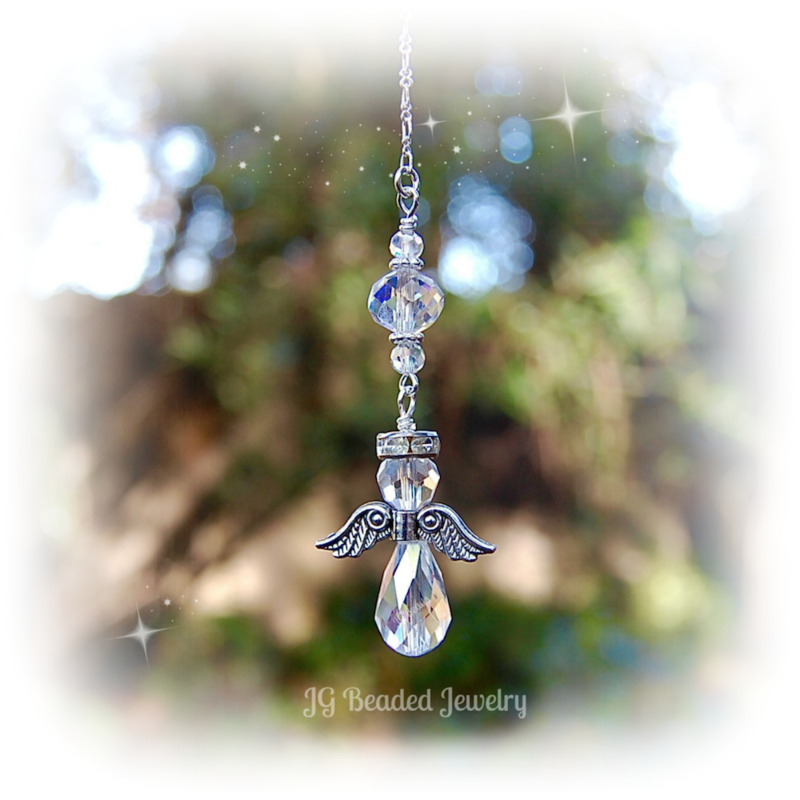 Angels are a thoughtful remembrance gift in memory of a loved one. Please feel free to contact me with color or design requests – I am happy to make that special treasure for you.